We are delighted to annouce that PROMYS Europe will take place in Oxford in July and August of this year. 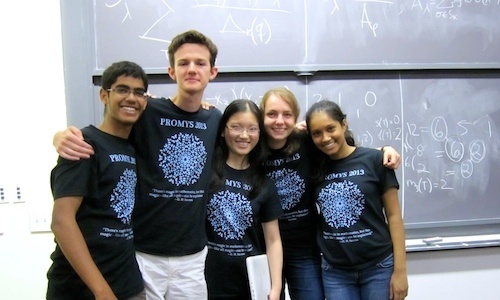 Building on the hugely successful PROMYS programmes in the USA, PROMYS Europe is a challenging programme designed to encourage mathematically ambitious secondary school students to explore the creative world of mathematics. PROMYS is about asking and answering challenging questions, hard work and experiencing the sheer pleasure and beauty of mathematics. Applications must be in by 1 April (yes seriously). Full details here. Please contact us for feedback and comments about this page. Last update on 27 January 2015 - 12:09.